President Nana Addo Dankwa Akufo-Addo has said, former Cuban leader Fidel Castro predicted that he (Akufo-Addo) would, one day, become the head of state of Ghana. He made the disclosure during a meeting with his Cuban counterpart, President Miguel Diaz-Cancel, in Havana, where he is on a three-day official visit. 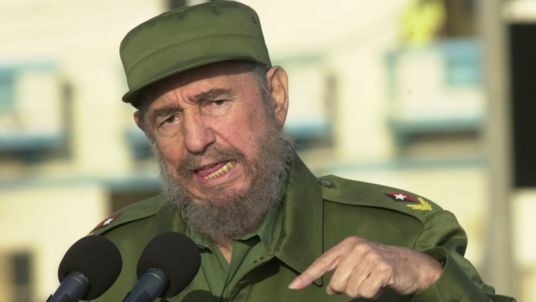 Paying tribute to the leader of the Cuban Revolution, who ruled for almost five decades, he noted that it was during the time of Fidel Castro that Cuba emerged as a reliable friend of Africa. As Ghana’s Minister for Foreign Affairs, President Akufo-Addo stated that he had the honour of meeting Fidel Castro in April, 2006, when he led Ghana’s delegation to the Ghana-Cuba Permanent Joint Commission for Co-operation, which was held in Havana. “In that meeting, he made a prediction about an aspect of my life, which has since come to pass. I lost track of time in the meeting with him, and soon realized that I was going to miss my flight,” he said. “Then, in his still, calm but assured voice, Fidel Castro said to me, words I remember to this date, and I quote; ‘Don’t worry. Even if you miss your flight, there is another at a later time today. Don’t be in a hurry to leave because I might not have the opportunity to meet you again. One thing I can tell you is that you will be president of your country one day”.